LEON HASLAM has signed a deal to race BMW's fast-improving S1000RR for the 2011 WSBK season. The annoucement comes just hours after the Derbyshire rider's release from his contract with Alstare Suzuki at this weekend's Imola race. 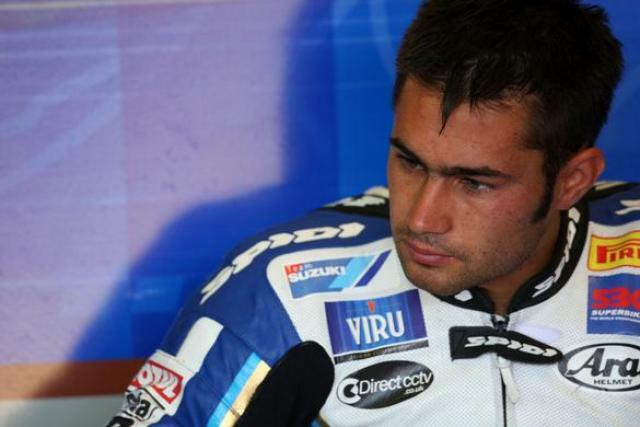 A lack of Suzuki factory support for the Alstare team has clearly frustrated Haslam; the British ace exercised a get-out clause on the basis of the manufacturer's questionable committment to development. Leon Haslam: "I've watched the progress of the BMW S1000RR in the past two seasons and the almost constant improvement of the machine has been very impressive. I'm very much looking forward to riding the machine and experiencing for myself what I've been watching. The team has shown the potential to win and the team has the factory support required so I'm hopeful that I can add the extra little bit that is needed to win. I'm really grateful to BMW for showing such faith in me and patience during difficult times and we're looking forward together now for a successful 2011." Haslam replaces Ruebens Xaus at BMW, partnering Troy Corser in the new-look squad. James Toseland, who was also linked to the BMW ride, is now widely believed to be in advanced discussions with his former employers, the Ten Kate Honda team.